My Mum & I have been making variations on this salad for about 10 years now. Yes, it contains gluten but still tastes light. It works with any greens, especially snow peas, asparagus & zucchini. 3. boil the kettle then pour 1.5 cups boiled water onto 1 cup couscous & leave to absorb. 4. Wash the silverbeet, then roughly chop. Turn on the stove & throw silverbeet into a hot frying pan. The water from washing sould be sufficient (no need to add more water). Stir constantly until wilted then remove from heat. 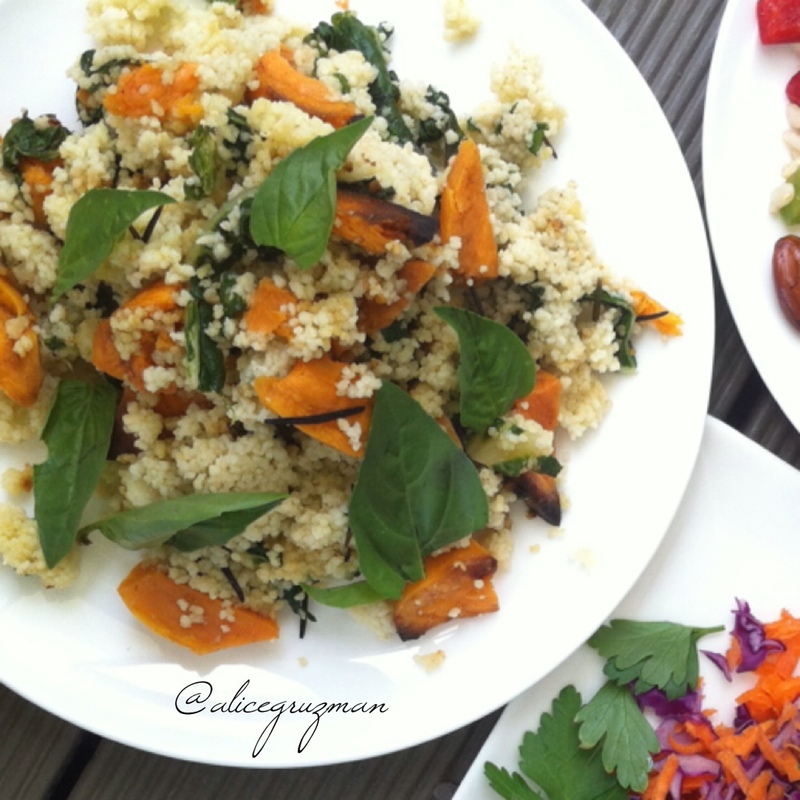 This entry was posted in Recipe and tagged couscous, dairyfree, iqs, refinedsugarfree, salad, silverbeet, sweetpotato, vegan, vegetarian by 6 Clean Ingredients. Bookmark the permalink. Oh that looks delicious! Anything with sweet potatoes is a winner.